At Crobox, we talk a lot about persuasion. From behavior-driven design to messaging, we try to explain the nuances of human behavior with the hope of inspiring more persuasive marketing. But, as a consequence of employing these theories and strategies, there is another crucial piece to the puzzle that is often overlooked: resistance. 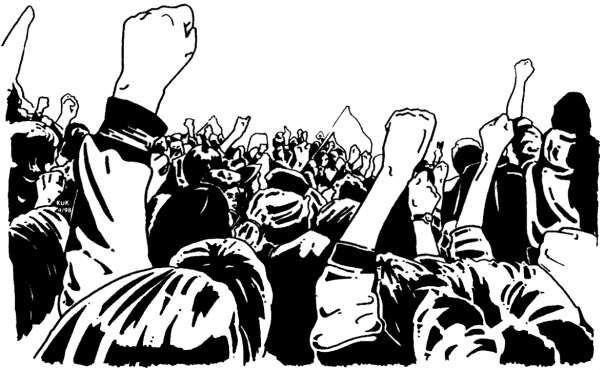 In academic literature, resistance has many definitions, applications, and interpretations. But in its core, resistance is the reaction against the pressure for change. This form of resistance contrasts those of social and political resistance, where change is willed and fought for. Instead, here resistance lies within individuals and is flared when there are attempts to change someone’s attitudes, intentions, or behavior. An internal fight against “the man” that often goes completely unnoticed by the person who’s resisting. Understanding resistance is a critical part of the behavior puzzle. By understanding the reasons why or situations in which your audience resists your message, you can create messages that are welcomed with open arms. Because, when it comes down to it, the goal of marketing is not to force or manipulate individuals into buying your message. Instead, it is to teach, remind, and inspire individuals to believe in your brand and products. Reactance is the psychological state that consumers adopt when resisting a message that is coercive or threatening to their freedom, causing them to act in the opposite way. It is the most documented form of resistance and has many faces in response to marketing messages, especially when it comes to personalization. By now, you’ve probably heard of or dealt with the personalization paradox. Technology has given us marketers access to high-quality data that support us in understanding our customers better — which is fantastic! Shoppers expect a seamless customer experience — right? It’s our duty as marketers to give them the best possible experience, and we can use their data to shape that. Unfortunately, the reality of the situation is not as straightforward. 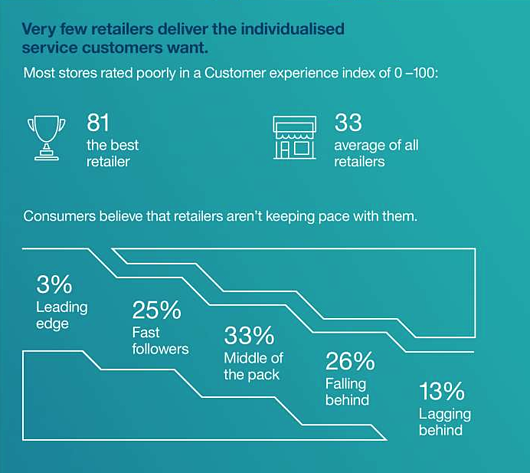 While it’s true that the online public expects better customer experiences from retailers, these experiences have to be when they want it. For example, how many times have you been browsing a webshop only to have a few select products follow you for the weeks to come? I’m willing to bet that we’ve all been there and at least half of us are driven up a wall by it. When it comes to (poor) retargeting campaigns, almost half of users will ignore the ad out of pure annoyance. When this happens, users are acting out in reactance to the persuasion attempt. With this, I’m not trying to say that retargeting isn’t effective — because it is. But that doesn’t mean that it’s the best approach in driving conversion. In fact, consumers get so fed up with being stalked by their products, that Google is tightening their ad blocking capabilities to block remarketing ads for those consumers. In any case, reactance is a widespread reaction to online advertising and has also been found in response to recommendation services and advertisement videos. The moral of the story is that we humans like our freedom, it is one of our most essential values. So when freedom is threatened or restricted, we rise and do what we can to restore it. In some cases that might be a social movement, in others, it can be as simple as looking the other way. As an online marketer, there needs to be constant attention to delighting the audience and making their lives easier. Intrusive advertisements that disrupt the user experience after leaving a brand platform should always be approached with a breath of caution. With the recent stream of scandal, it should come as little surprise that distrust is a form of resistance. Today, we’re witnessing data ownership and storage being shoved from the corner to the forefront for internet users around the world. Enhancing trust with your proposition is no longer something that can be implicitly inferred. Instead, it needs to be explicitly stated and reinforced. 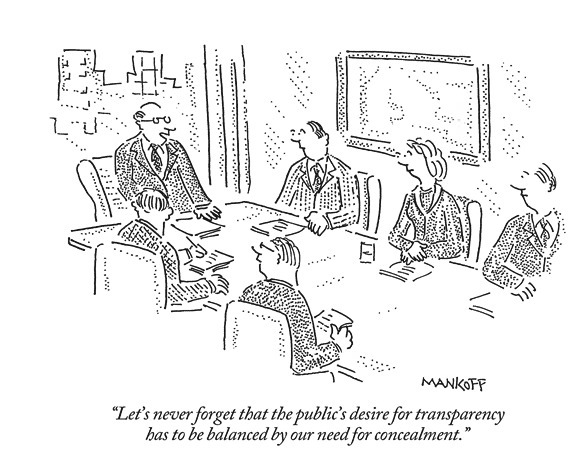 Over recent years, we’ve seen a transition to a society that runs on transparency. The widespread use of the internet has acted as a catalyst to this, as it gives whistleblowers and investigative journalists a platform to be heard. It has given every individual the tools they need to uncover information that some questionable brands or governments may have rather left buried. Luckily, many companies caught wind of this change in communication approach before scandals such as Facebook and Cambridge Analytica came about. The era of transparency has given way to eager brands to share their story, company dynamics, and vision to an audience that is ready and willing to listen. Not to mention the rise of blockchain and decentralized technology projects, where transparency is a given. This open source uprising sends an unequivocal message to companies of all industries: The future will be built on open and transparent communication. And as they say, it’s always better to start sooner rather than later. Procrastination could be the “death of brand” in this situation. Needless to say, consumers steer away from dishonest and exaggerated claims. Honesty is the best policy, so try to open the doors to your customers. 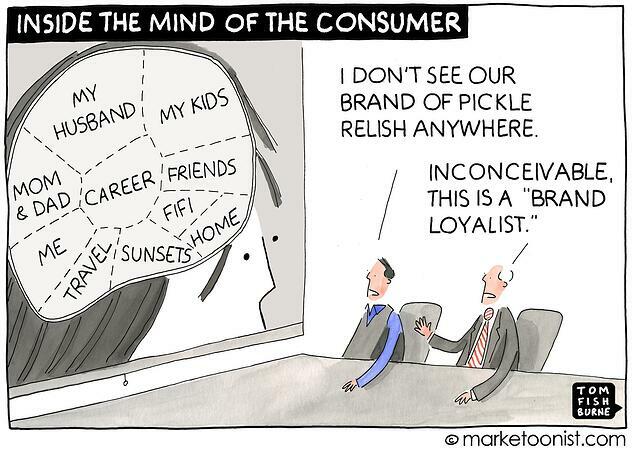 This, in turn, will strengthen their loyalty and connectedness with your brand. Stemming from distrust is its little brother, scrutiny. Because we live in a society that likes to have the facts in front of them when making a decision, be prepared for your audience to tear apart each of your claims. Scrutiny is a form of resistance that puts emphasis on the proposal itself and is present when an individual realizes they are the target of an influence attempt. Upon this realization, individuals will carefully evaluate the proposition to find any strengths or weaknesses that help make up their mind about the claim. But, as we are generally susceptible to human bias, we will likely find the parts of the argument that are already in line with our opinions (i.e., confirmation bias). Individuals often counterargue by seeking out reasons why your persuasive claims are invalid. This heightens the importance of avoiding overt claims that are easily disproved or clash with the ideals of your target audience — especially in situations where your audience is highly involved. It should be noted that scrutiny can also be a good thing. Because scrutiny requires greater processing of information, when the information is convincing or aligns with the receiver’s views, it becomes more present in their mind. This happens because when you critically analyze a claim, you use more energy than if you were to accept or reject it passively. This increased energy makes the association with the claim stronger, ensuring it stays top of mind. In the end, the level and result of scrutiny are highly dependent on the message being sent, the product in question, and the target audience’s attitudes and values. To play it safe, you can always provide pro and counter arguments or offer direct (and honest) comparisons to your competitors. Alternatively, you can address FAQs in the product description to ease any concerns your soon to be customers may have. The last face of resistance that your shoppers may be facing is inertia. Inertia isn’t necessarily a reaction to a proposal in the same way reactance, distrust, or scrutiny are. Instead, it’s more of a desire to stay the same instead of explicitly resisting change. In the case of eCommerce, inertia is favorable for retaining customers. In general, research has found that many consumers will stay with their current online merchant as long as no other force compels them to change. These consumers experiencing high levels of inertia will hesitate to change, even when the alternatives are more attractive. Reduced Consumption Time: No time needs to be wasted warming up to a new website, comparing prices, analyzing reviews, etc. Familiarity: We like things that we know. So after visiting a website and gaining an overall positive impression, we find it a lot more comforting to go back to that website rather than face the risks of switching. Difference Perception: Individuals don’t perceive big differences between familiar stores and their alternatives. So switching doesn’t seem worth it. This form of resistance poses an interesting opportunity for brands, especially when you consider that acquiring new customers can range from costing five to seven times more than keeping existing ones. Plus, the likelihood of acquiring new customers can be small, falling into the 5% to 20% range. It seems to be a no-brainer that increased focus should be spent on keeping your customers just where they are. Playing on inertia appears to be a good way of doing so, as it’s been found to play a larger role than even brand satisfaction. But how? Shortening the effort needed to find products or browse with detailed filtering or advanced search options. Making it easy for shoppers to familiarize themselves with your webshop by making it intuitive and simple. Developing your customer relationships by offering distinct USPs like loyalty rewards, fast-shipping, free returns, etc. Establish a one-stop-shop for your customers to find all their favorite related products. Resistance is one of those self-protection impulses that has evolved over the years. And although it may bear a different face in our digital society, the origin remains deeply rooted in human survival. Reactance causes your audience to resist by doing the opposite of your request. Avoid intrusive ads that frustrate your audience off platform. Distrust can be a make or break it element to your relationship with your shoppers, weave transparency into your business model to set the foundation for a lasting relationship. Scrutiny should be considered when making exaggerated or “half-truth” claims. Assume individuals will do their due diligence and communicate accordingly. Inertia can help you retain your valued customers. Ensure your webshop and service are facilitators of fluent user experiences.